My custom spearfishing safaris is a stage – the platform to design your dream spearfishing adventure along the shores of Africa. Choice abounds – from epic, wild gamefish safaris to one on one, exclusive private escapes into the deep blue wilderness. Intense, life-altering fish experiences or breath taking dives in pristine, untouched reef wildernesses. Adding that personal touch diving as your back up chasing that life long dream fish, to showing you the ropes to get to greater depths. Unique family getways into ‘family-friendly’ environments where my focus is ‘the family’ … it’s not always ‘just’ about the fish. Luxurious and opulent if you choose or simple and rustic if you so desire. From searching for massive Marlin and Dog Tooth encounters in the deep blue, to more relaxed drifts over crystal waters looking for dinner. The options are endless, exciting and exhilarating. I will be your guide, host and chef if you wish. A voice-piece where need be for important decisions and guest liason, an ambassador for our sport but most importantly I will show you the African deep blue through my eyes. My Safaris are a very personal encounter, we may start out as names but we will depart as friends. 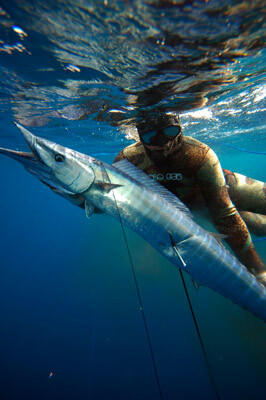 Goal orientated spearfishing trips for the experienced spearfisherman. This is for the discerning hunter who wants to maximize his chances on that ‘Trophy’ fish. Unlike standard charters where you share everything from tender boats, drifts and ultimately your fish with a group of divers. Here you are the afforded every available opportunity. For this reason I prefer to take 1 or 2 persons at any one time, my roll being that of guide and back up diver for second shots and even camera work. I will be your private tutor while on an epic spearfishing adventure. Here you will dive under the supervision and guidance that will help you dive more effectively and ultimately get more fish. This is for the aspiring spearfisherman who has had some experience and wants to go from the theoretical to the practical. Again the smaller the group the better, and it’s the one on one time in the water that will make all the difference. You have got the boat, the 4×4, all the gear, but just need a little direction. You want to venture off to Mozambique or Zululand and dont really know where to start, the handful of gps cords do little for your confidence. I will not only show you the spots and how to dive them, you will not have to put up with the school fees of searching high and low, wasting valuable time. Here I will share my trade secrets on how to dive more effectively, leaving you with the confidence and experience to go out on your own spearfishing adventures by your self. The Mozambique coast has to be one of the richest dive locations in the world. Wild and unpredictable at times, this coastline holds more undiscovered secrets than any place I know. It is vast and offers a variation of spearfishing experiences unrivaled by any place that I have been. From deep water pinnacles off Barra and Morrongulu to the screaming currents off Pundane you are spoilt for choice. Inhaca Island has to be one of my favorite Mozambique destinations, primarily for its proximity to incredible trophy gamefish spots. Add that to its beauty and you will be blown away. 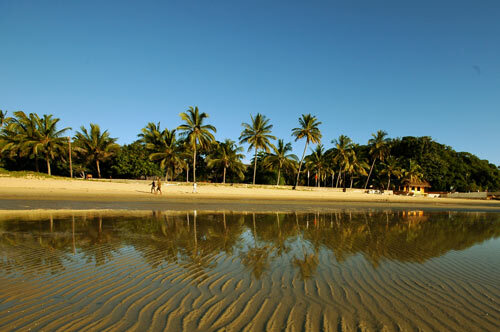 Closer to home in South Africa the Zululand coast is a big gamefish haven. Cape Vidal and Sodwana are South Africa’s premium blue water gamefish destinations. From Wahoo and massive Couta to Sailfish and even Marlin these are places not to be missed. One of my passions is underwater videography and photography, this enables me to capture those special and exceptional moments of your adventure like no one else can. Professional gear and years of experience will give you images that will stay with you for a life time. If video is what you after then we can film and produce a video of your adventure in full High-Definition with equipment especially designed for filming spearfishing. Flying with spearfishing and dive gear can be costly, especially with spears and weights. I will supply and fit spear shafts and any other bulky gear you need.